Research shows that giving kids an allowance is beneficial, but setting it up correctly is important. 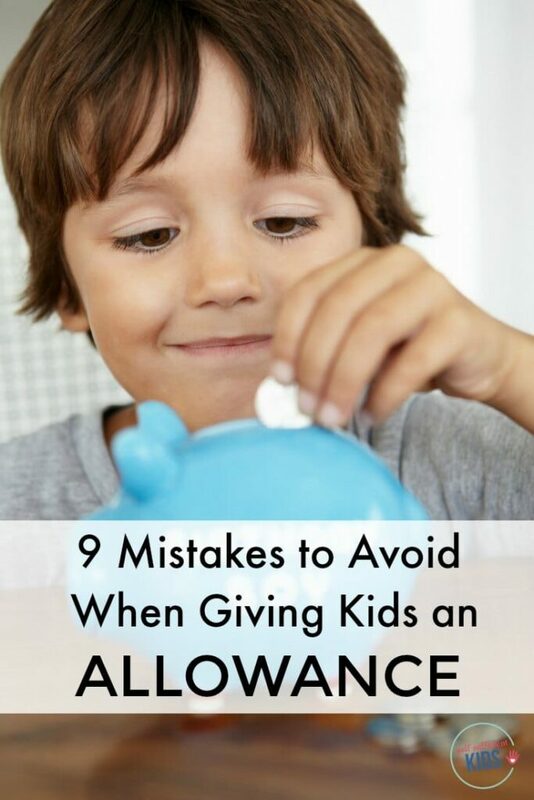 Here are 9 mistakes to avoid when giving kids an allowance. A recent survey found that 70% of American adults couldn’t answer basic financial questions correctly such as how interest on a savings account is calculated and if it is more or less risky to purchase a single company stock than a mutual fund. And Americans aren’t alone – in the top scoring countries, Germany and Switzerland, only half of respondents got all three survey questions right. Helping our kids avoid that financial ignorance can begin by giving kids an allowance. 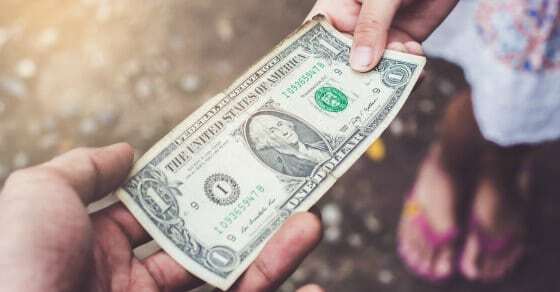 Two studies from T. Rowe Price and The Journal of Economic Psychology show that kids who receive an allowance tend to be more financially savvy than kids who don’t. Of course, all of these education outcomes can only occur if an allowance is set up correctly. Here is a list of things to avoid when giving kids an allowance. 1. Not Talking to Your Kids About Money: An allowance alone won’t teach your kids everything there is to know about money. Research has shown that kids whose parents frequently talk to them about money, compared with those whose parents do not frequently discuss money, are more likely to feel knowledgeable about personal finance and investing. Talking to your kids about money can be as simple as comparing prices in the grocery store, discussing how ATMs, credit cards, checks and stocks work or letting your kids get involved in big purchases such as buying a new house. 2. Giving Kids Too Much Money: The amount of allowance you give your kids can make the difference between raising kids who feel entitled and kids who understand what it takes to budget and save money. If kids get so much money each week that their savings goals are accomplished in just a few weeks, they won’t grasp the concept of having to make difficult decisions to achieve a savings goal. They also won’t be incentivized to work for more money (see #9). 3. Not Making Kids Responsible for Certain Purchases: Once your kids receive an allowance, make it more than “fun money”, let your child know they are now responsible for purchasing things that Mom and Dad once paid for. The most obvious of these is toys. For a full list of what you can stop paying for once you give your kids an allowance click here. 4. Not Letting Kids Take Ownership of Their Money and Make Mistakes: Everyone makes mistakes with money – sometimes big ones that we learn from and will never repeat again. The stakes are low for kids – deciding to buy expensive designer jeans only to realize there isn’t enough for other essential clothes is practically harmless compared to an adult going on a shopping spree and then realizing there isn’t enough rent money. 5. Not Being Consistent: If you’re going to set up an allowance and agree to pay your kids on a regular basis (be it weekly or monthly) then do it. Going back and forth between having your child pay for certain items and you (because you forgot to give your kids allowance) defeats the learning goals that allowance is intended for. The easiest way to remind yourself it’s allowance day is to set an alarm on your phone. As kids get older, and grasp the concept of physical money, parents can set up an automatic deposit into an online bank account. 6. Not Teaching Kids to Save Their Money: The idea of an allowance isn’t just to have fun with money, but also to learn how to save it. When kids are young, you can instill this lesson of saving money by dividing allowance between spend and save jars (and possibly a jar for donations too). Getting kids to understand the value of saving money can be tricky when they’re young – for tips on how I teach my kids to save their money click here. 7. Being a bad example: The undeniable truth is that our kids learn more from what we do than what we say. If you aren’t sticking to a budget, are spend beyond your means, or have incurred credit card debt your kids will follow your lead. But if you do find yourself in any of these situations – use it as a learning tool. Explain to older kids, in a way that won’t make them fearful of the family’s financial state, that you wish you had done things differently. 8. Making Allowance Contingent on Completing Chores: Or, in other words, turning money into a bribe. Research shows that kids who don’t get paid for chores feel a greater sense of self-worth and happiness. Paying kids for daily chores sends the message that they aren’t equal participants in the family and that chores are optional. When kids are older, they may decide that chores aren’t worth the money and stop participating altogether. 9. Not Encouraging Kids to Work for More Money: While you may not be paying your kids for chores, by all means, encourage them to work for extra money. Better yet, have your kids think of ways they could take on extra work around the house and then negotiate how much they should get paid. This is a great way to help them begin to think as entrepreneurs – a trait that is essential in our ever-changing economy.